I think I'm becoming increasingly interested in choosing where I live based on the availability of local markets. Since doing my undergraduate in Ottawa I became intrigued by the whole concept of local markets, but never truly appreciated them. Now that I'm across the pond, older and wiser, I've really begun to appreciate markets for what they are worth. They are utterly priceless! The food is fresh, it's local, it's seasonal, it's easy to access and cheaper then the average supermarket! I'm spoiled with the availability of markets in Newcastle Upon Tyne. I can safely say that there are a number of places where you can access fresh local food in this city. I'm spoiled. 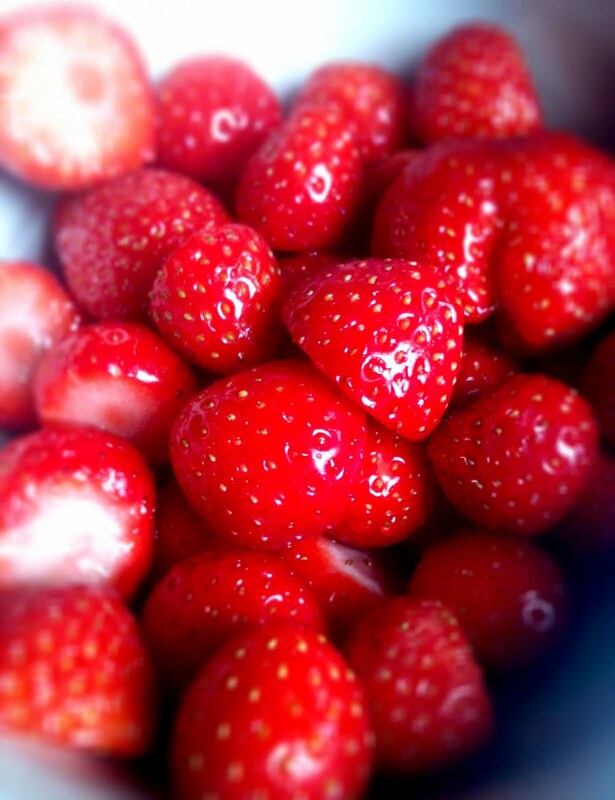 First batch of the season fresh strawberries, £1.50 for two punnets! Unbelievable! So yes, I spent two gruelling summers working in the cemetery. And yes, everything you're thinking one does in a cemetery I did. Yup, that too. I had a gruelling outdoorsy job which gave me a great farmers tan and an amazing workout and sense of achievement to go along with it, and some great stories to tell! Because we were located just outside of the city we were surrounded by forest. On my lunch breaks I sometimes took walks around the area and because we had black bears roaming about I knew there had to be some berries. One small road just beside the cemetery was a gold mine of wild strawberries! These were probably the best strawberries I had EVER tasted, and might ever taste. They were juicy little gems of flavour and I ended up bringing my mum back that night to pick some more. Mmmmmm strawberry pie!!! Anyway, back to local food stalls! I can't wait for this weekend! It's the start of the EAT! NewcastleGateshead Festival and there's to be food stalls all down the main shopping strip! mmmmm hoping for many many free samples!